Date and Time: 9:00 – 10:00 am, Friday, May 8, 2017. 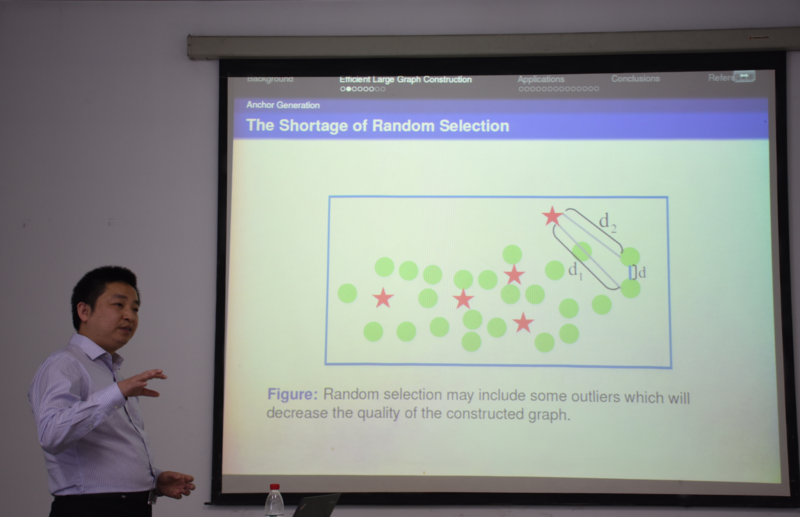 Graph based methods are popular and effective to solve many machine learning problem. However, traditional graph based methods are very time-consuming, which make them difficult to be applied in large scale data. In big data era, it is important and urgent to accelerate the graph based methods and make them scalable to big data. 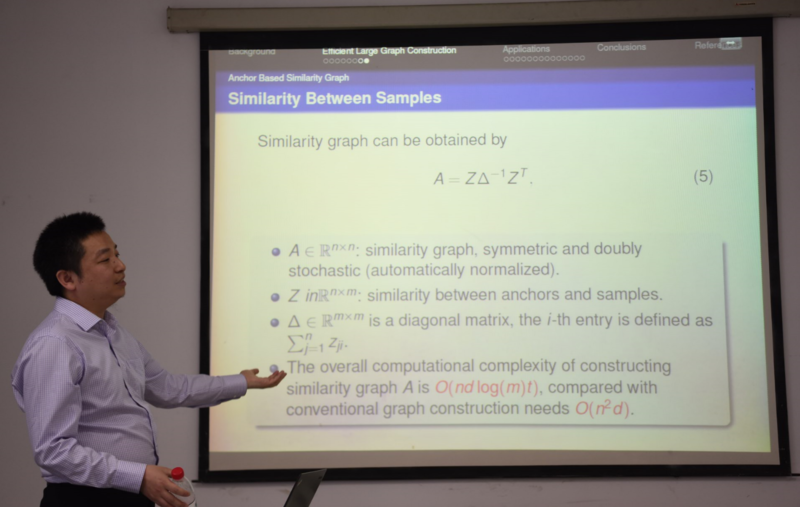 In this talk, I will introduce a new and effective large graph construction approach. This approach is linear time to the number of data points and thus can be applied in the case with million data. I will also discuss how to apply this approach to accelerate many graph based machine learning methods.